Acute care hospitals have been tasked with developing antimicrobial stewardship programs for several years as multidrug resistant organisms (MDROs) continue to cause serious health issues, oftentimes due to misuse. In addition, ambulatory care and ambulatory surgery settings are gearing up to combat misuse of antibiotics as per the March 2015 White House "National Action Plan for Combating Antibiotic-Resistant Bacteria." This week, the FDA updated its warning about the side effects and dangers of a class of drugs called fluoroquinolones. 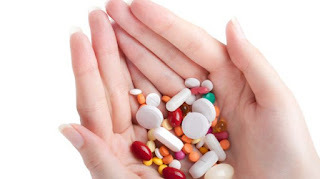 It has been well documented that this class of antibiotics should be cautiously prescribed due to its side effects, which include "disabling and potentially permanent side effects of the tendons, muscles, joints, nerves, and central nervous system." The warning specifically notes that "fluoroquinolones should be reserved for use in patients who have no other treatment options for acute bacterial sinusitis (ABS), acute bacterial exacerbation of chronic bronchitis (ABECB), and uncomplicated urinary tract infections (UTI) because the risk of these serious side effects generally outweighs the benefits in these patients." Unfortunately, prescribers often reach for fluoroquinolones as a first resort to treating uncomplicated infections as they are highly effective. Besides the side effects listed above, fluoroquinoles are known to be a significant contributor to the development of Clostridium difficile infection, contributing to the argument that they should be used wisely. ICCS works with healthcare organizations, including hospitals, ambulatory surgery centers and outpatient care facilities, to develop and implement antimicrobial stewardship programs. Learn more about ICCS infection prevention services.